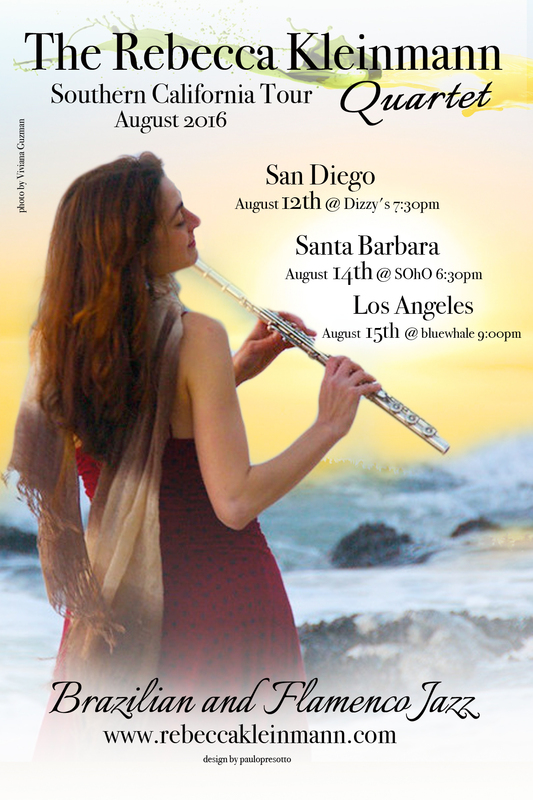 Internationally acclaimed flutist and singer Rebecca Kleinmann presents a double set of gorgeous Brazilian and Flamenco Jazz. 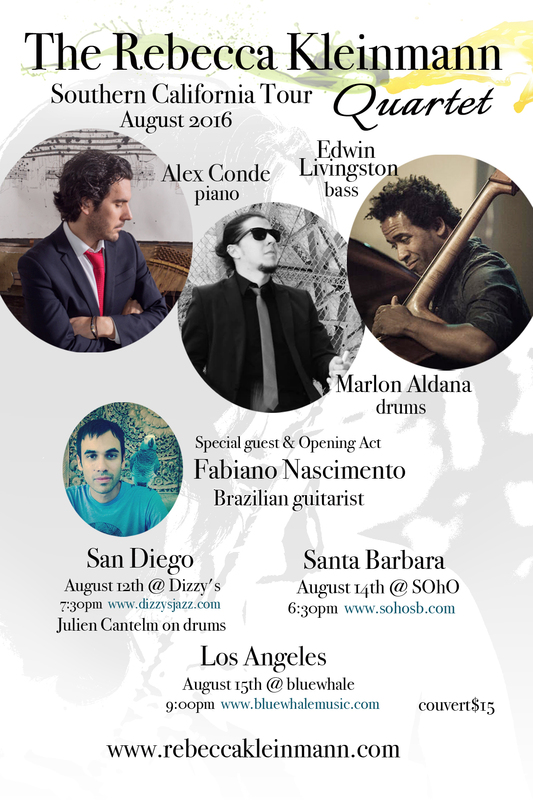 The Southern California August concerts feature award-winning Brazilian seven-string guitarist Fabiano do Nascimento sharing the bill with Rebecca’s stunning collaboration with virtuoso Spanish-born jazz pianist Alex Conde, versatile percussionist Marlon Aldana and first-call L.A. upright bassist, Edwin Livingston. Drummer Julien Cantelm will be joining the quartet for the San Diego date. 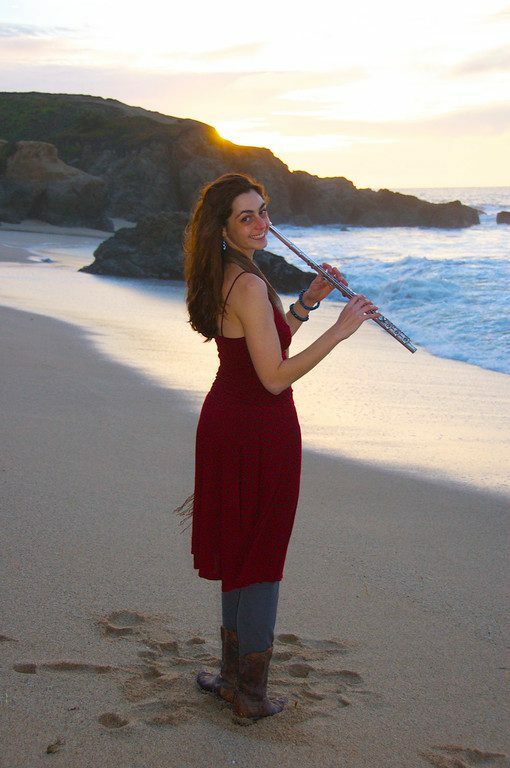 Rebecca Kleinmann has steeped her natural musicality in waters of Brazilian Music, Jazz and Flamenco. She simultaneously honors these rich traditions while emerging with her own unique and passionate voice. The agility, depth, playfulness and precision of her groups are a captivating joy to hear. The current incarnation of her quartet features pianist Alex Conde who carves a distinct musical path through bebop language and authentic Andalusian rhythms. Conde’s latest work Descarga for Monk, was named “ Best of 2015“ by Down Beat and All About Jazz magazines. Bassist Edwin Livington brings a breadth of experience with heavy-weight Jazz and Latin musicians including Justo Almario and Natalie Cole. In addition to a full playing, touring, and recording career he is also on the faculty at the USC Thornton School of Music, teaching bass in the jazz studies department. Versatile drummer Marlon Aldana works constantly in the Bay Area with flamenco virtuoso Jason McGuire, La Gente and other projects. Drummer Julien Cantelm (San Diego date) is also in high demand, playing with the likes of Peter Sprague, Dusty Brough and Danny Green. These unique concerts are not to be missed. The skill, cultural connection, and improvisation are of international festival quality, yet presented in the great listening environments of intimate Jazz venues. Reserve tickets in advance to ensure seats.